I’ve definitely drifted from brand to brand over the years, from flicking through Vogue to scrolling through Net-A-Porter’s ‘New in’ page, I have lusted after many a trend however, my client loyalty has been with the classics, Vuitton and Chanel. 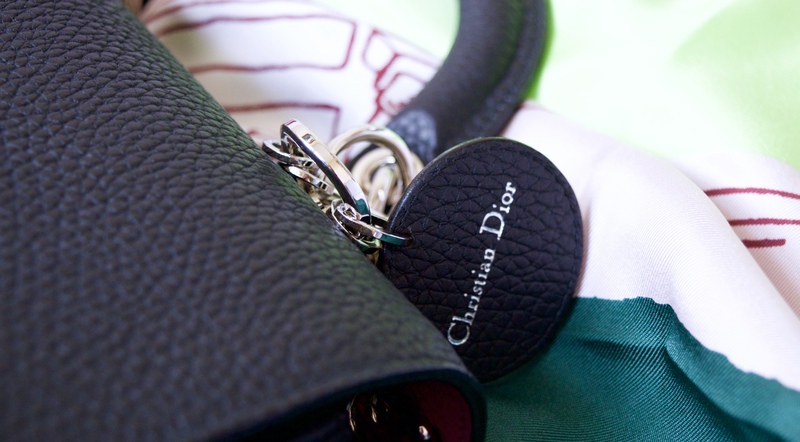 As you know, this year that all changed when I became infatuated with Dior, all of which can be read about here and here. Thus it was a no brainer when I began a new job back in May, that I would purchase a new bag in honour of moving forward and leaving the last five years behind me. Christian Dior was an obvious avenue to pursue as a new season bag was already on my radar and luckily, already on hold in the name of EKD. I remember when I bought my first luxury handbag, I believe it was November 2011 and my sister Elle accompanied me to Selfridges to make my greatly anticipated purchase. I was 16 and I picked up the bag I had always wanted, a Louis Vuitton Speedy 40 in Monogram and I used it everyday for almost four years! I bought my Speedy a month after starting my first proper job and I worked overtime to ensure I could buy it with my first wage. I used my Speedy last week for the first time in a while and even though I was only going to work and back again, I still felt like I was carrying a gem. 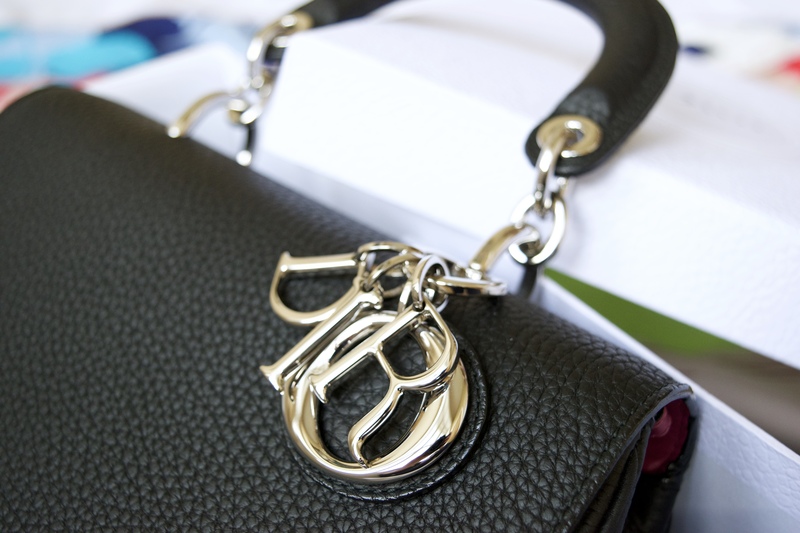 This new season Dior bag had been on my radar since I attended the Christian Dior Couture client event back in April, it had just come in and was exactly what I was looking for. Now that I had my Large Lady, I knew I wanted a smaller, more casual bag and luckily enough, the wonderful associates at my Dior boutique knew just the thing. The Mini Be Dior Satchel arrived in the delivery that week and I knew then it would be a lovely addition to my collection. After much consideration, noting that seasonal bags are only available for a limited time and in celebration of my new job, I put my Be Dior on hold and picked it up last month. I have used my Be Dior a couple of times already and I love it! 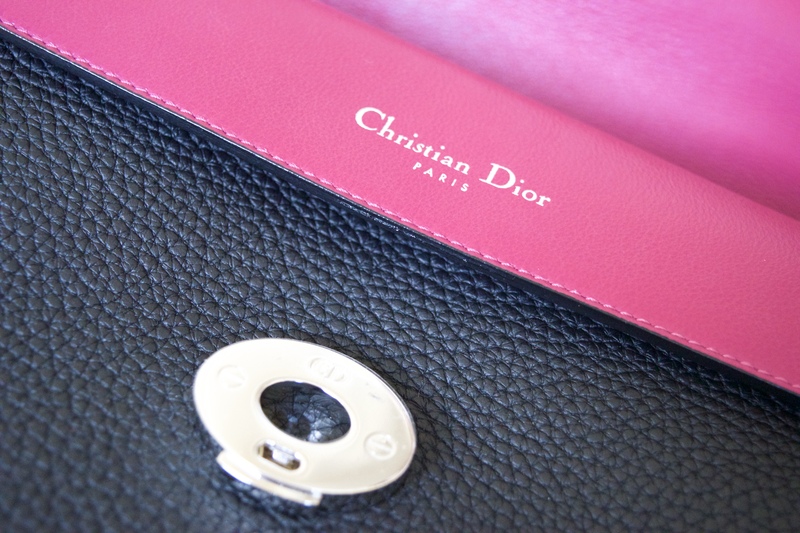 The black leather and rose indien lambskin interior are an exact match to my Diorissimo wallet and so it’s clear they just have to be used together. 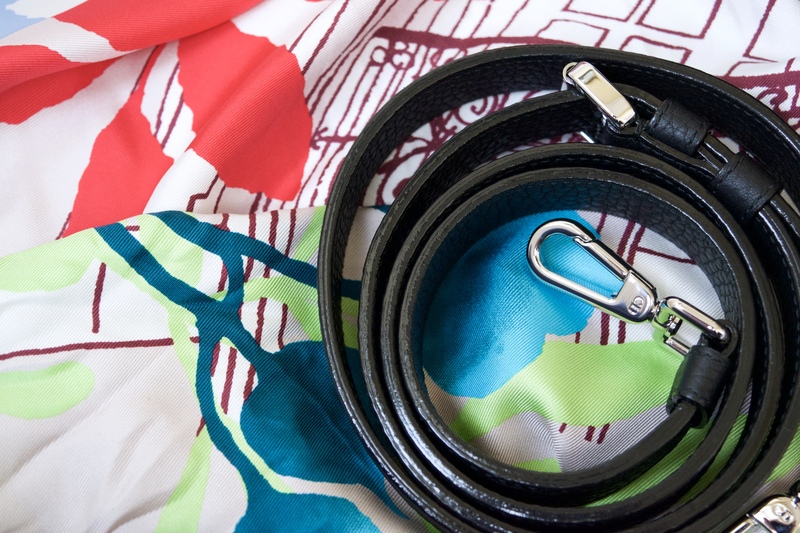 The removable and adjustable shoulder strap means I can wear it both on the shoulder and cross body, not to mention the handle that allows it to be both a handheld ladylike wonder or an elegant and modern clutch. Furthermore, the silver hardware and grained bull calf leather make the bag a more casual and youthful choice over my Large Lady. I adore that it has a supple yet structured silhouette and is modern twist on the classic Be Dior. 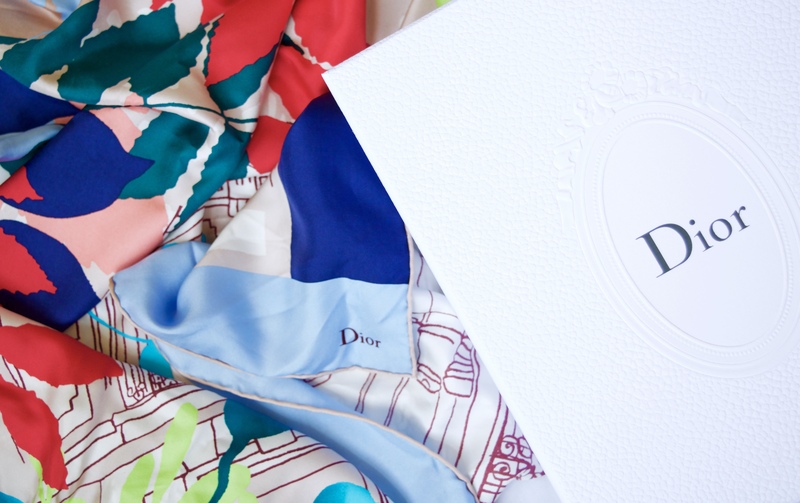 In addition to my new bag, I also picked up another silk scarf from Dior. 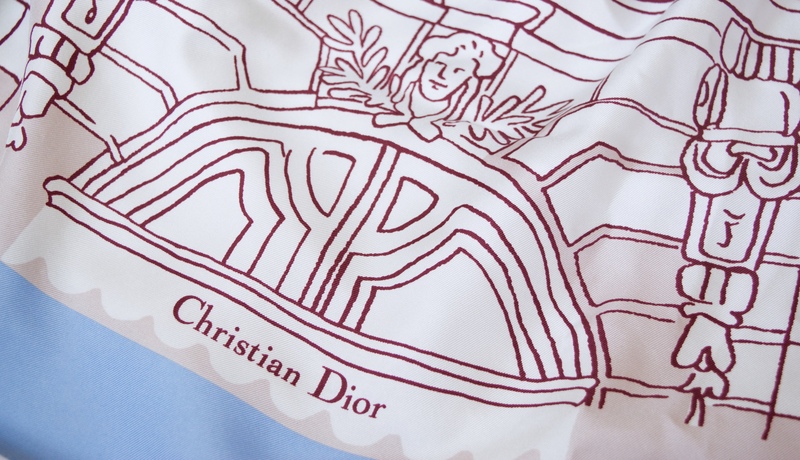 The moment I spied this on the Dior website when the Autumn collection landed, I just had to have it. Again, my SA put it on hold and I picked it up the very next week. I am obsessed with the colours and pattern as it depicts 30 Avenue Montaigne, in-between majestic branches and bright colourful florals – positively dreamy! 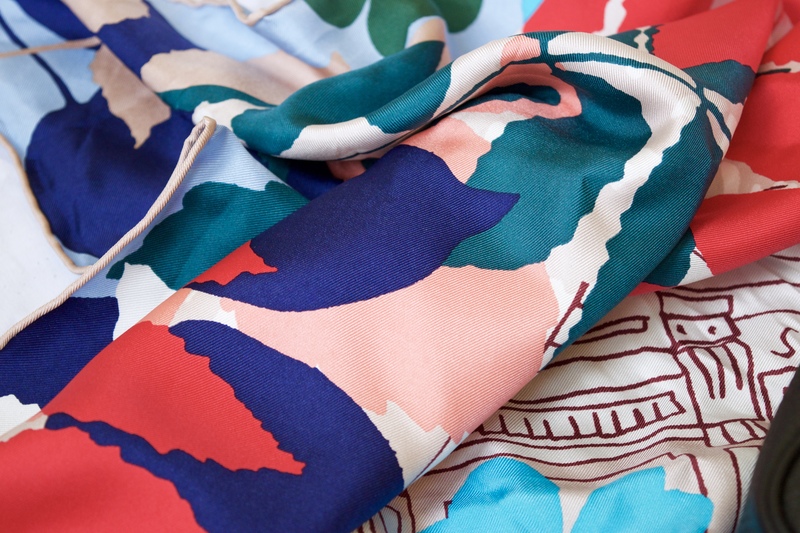 I have found this silk twill to amp up any outfit with sumptuous colour and style. 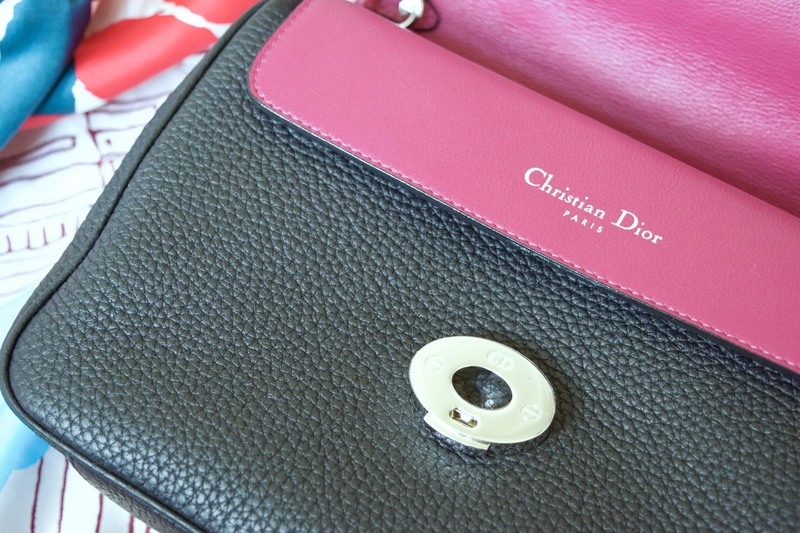 My love of a lifetime continues to be Christian Dior and I look forward to sharing a Lady Dior review very soon!